We offer boarding as a service to our clients. Please call in advance to make an appointment, especially around the holidays. Weather permitting, all dogs are exercised in our outdoor runs 3 to 4 times per day. 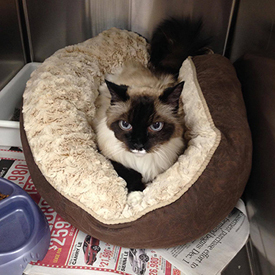 Grates and blankets are provided to all boarding pets as needed. Food - You are not required to bring your own pet food; however, we don't carry all the special diets here. 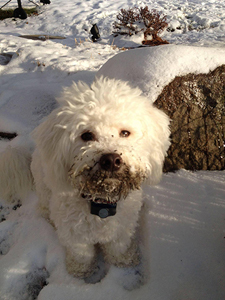 We will use Hills Science Diet for Sensitive Stomachs if you don't bring food with your pet. Any Medications needed (pills, insulin, sub-q fluids, etc.). Please bring all medications in original, appropriately labeled containers. Do not put multiple medications in the same container. An emergency contact phone number where you or another responsible party may be reached. We will need to know if we can treat your pet for any conditions that may occur or if you would like to be contacted first. Examples include vomiting, diarrhea, checking ears/skin, etc. If an emergency arises we will immediately try to stabilize your pet unless a written DNR (do not resuscitate) order was signed at drop off. Please take your leashes, collars, and cat carriers with you after dropping off your pet. We are not responsible for any lost or missing items.